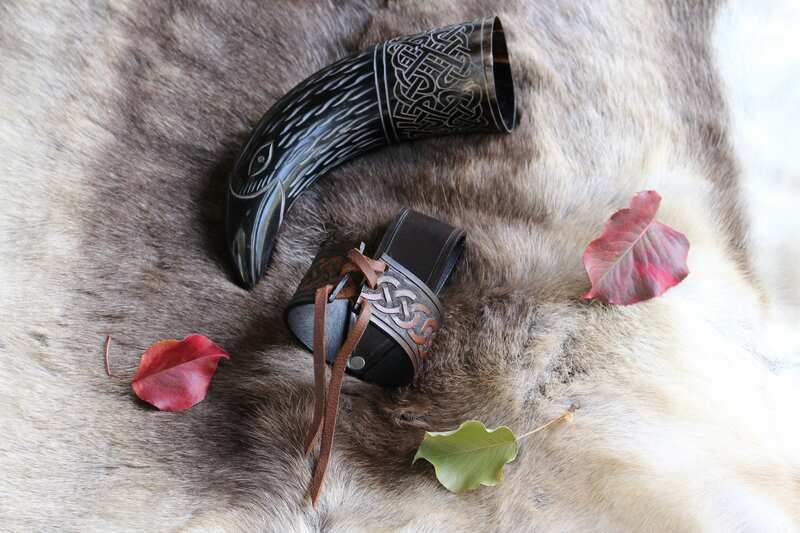 ****In order to make this strap fit your drinking horn, I will need the circumference of your drinking horn three inches down from the rim. you can do this easily by wrapping a piece of string around the area to be measured then measure then string on a ruler. 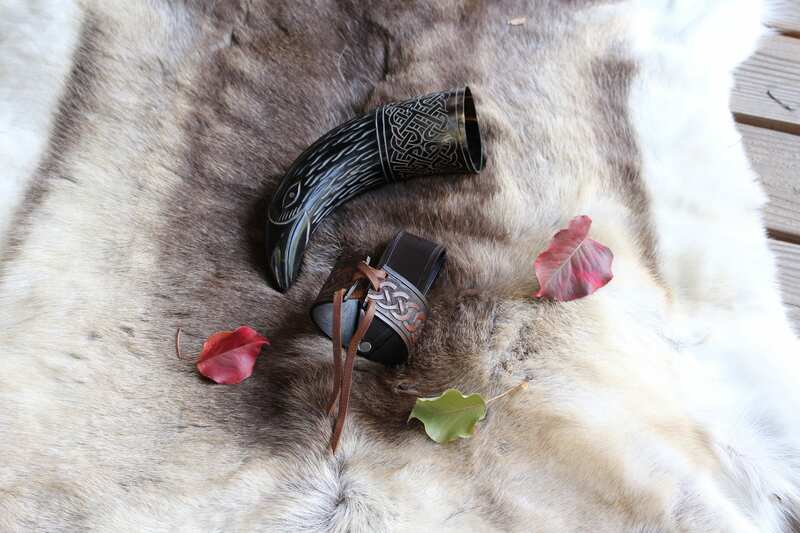 This style horn holder is adjustable but i still need an accurate measurement to craft you the proper sized holder i am not responsible if you fail to measure your horn as i have asked. 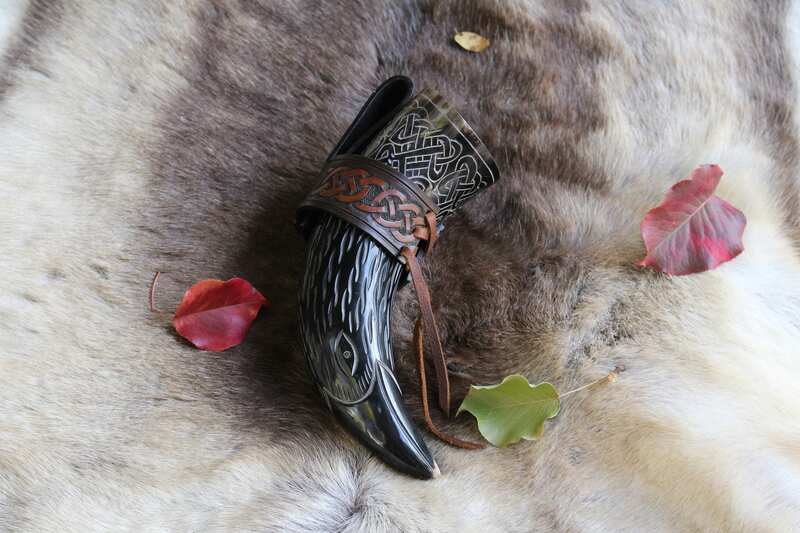 This is a leather belt frog which lets you attach your drinking horn to your belt and allows you to put your drinking horn "down" while it is still full. 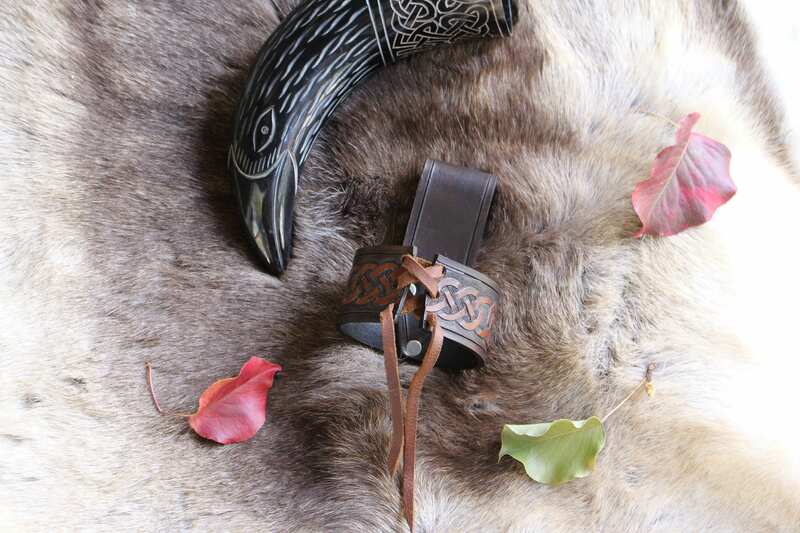 Made from the highest quality, thick tooling leather.